Yes, a post about saving bacon grease! Back in the day, one of Grandma’s old fashioned money saving tips was to be very careful about using everything up! So even though this particular post is about using up bacon grease, the greater lesson here is that you’ll save money by not wasting. That is a concept you can apply to many areas of frugal living. Penny pinchers have been saving bacon grease for decades, knowing that it still has use even after the bacon is long gone. If you love bacon (and who doesn’t) and find yourself with the leftover bacon fat, take a look below at 7 Reasons Penny Pinchers Save Bacon Grease. You might be surprised to know how many practical ways there are to put this grease to use! But first, let’s talk about how to store bacon grease. Please don’t pour hot bacon grease into a plastic jar! It will melt. You can let the grease cool and then scoop it out when it’s solid. 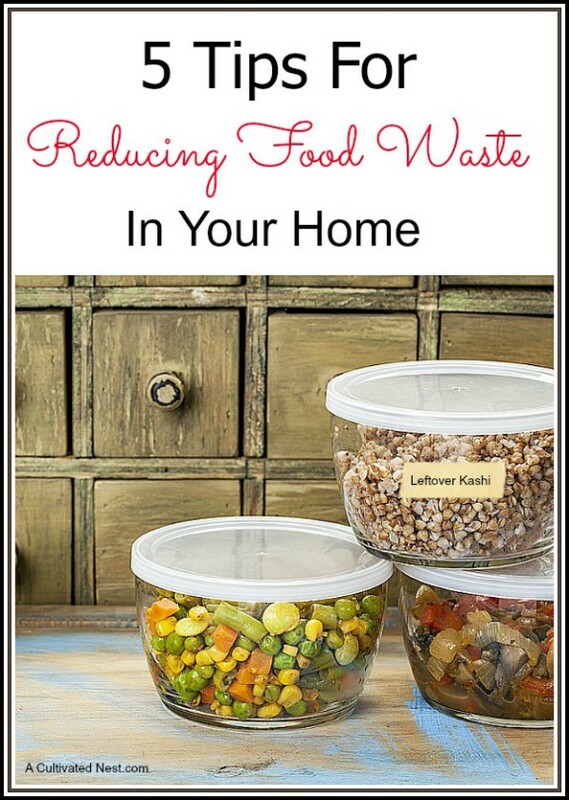 Otherwise use a glass jar or a stainless steel grease storage jar (the best ones come with a strainer). Grandma used to keep her bacon grease in a jar or coffee can on the counter. I think if you go that route it’s probably best to strain the bacon bits out and be sure to check your jar every few weeks to make sure it isn’t rancid. You can keep your jar in the refrigerator. I usually run out long before it can go bad in the fridge! But I know people that keep it for up to 6 months with no problem. As always, use common sense and if it smells or looks bad, don’t use it! Bacon grease can be kept in the freezer. Some people even freeze it in ice cube trays. You can also wait until it solidifies and then keep it in freezer bags. Slice off what you need. 1. Make your own fire starters with it. Bacon grease makes an excellent fire starter. Take a spoonful and wrap it in a piece of muslin or scrap fabric. Tie with string or twine. When you are ready to get your fire roaring, light the string and place the package into the fire. You can also try storing the bacon grease in a jar and just dip the ends of your kindling in it before lighting. Either way works great! 2. Try cooking green beans in it. This is an old fashion recipe that just can’t be beat. Add a teaspoon or so of bacon grease to your frying pan along with some fresh green beans. Bacon grease is full of flavor and will add a smoky taste to just about any vegetable you cook it with. It’s also really good used in fried potatoes! 3. Craft your own suet balls. Bacon fat can help birds bulk up for the winter and stay warm. Take a spoonful of bacon grease and roll it in birdseed. Craft the mixture into a ball. Place it outside for the birds and squirrels to dig into and enjoy. They surely will! 4. Fix a squeaky hinge. A little bacon grease can help lubricate a squeaky hinge. Just dab some on the end of a q-tip and press it to the area that’s squeaking. The fat will help lubricate the hinge and allow it to do its job smoothly. It works great on cabinet doors, front doors, and even sticky drawers! 5. Protect your drains and disposal from damage. Drain clogs can be expensive and annoying. If you are saving bacon grease for any reason, it should be to keep your drains clear. Pouring bacon grease into a jar for disposal will help your drains stay clean and clear, preventing back ups and other pipe damage. 6. Make an emergency candle. Bacon grease can be used as an emergency candle. Place a wick in a jar and pour the bacon grease in. When it sets you are free to light the wick and enjoy. You can set this in the refrigerator to speed the setting up process. A small dab of bacon grease in your frying pan can prevent sticking and add a smoky flavor. You can add it to the pan when cooking meat or even making eggs! It will help lubricate the surface, prevent sticking, and can even add some flavor. 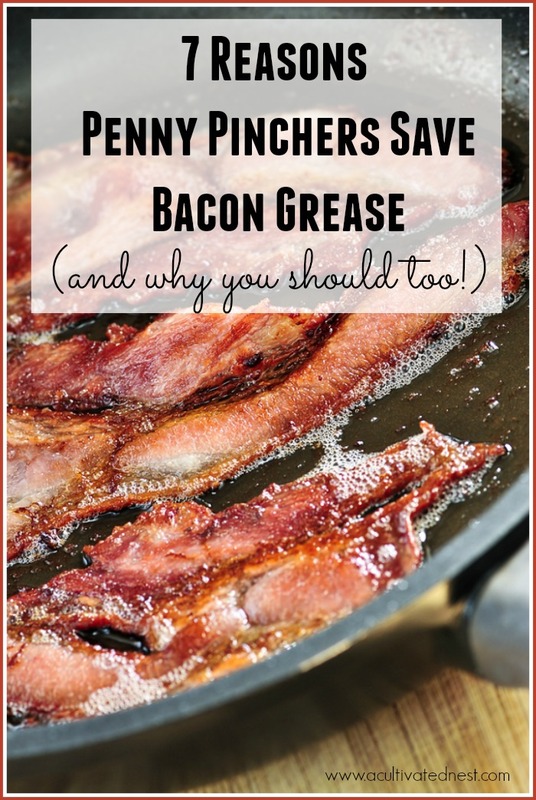 Penny pinchers know that saving bacon grease is worth it, and now you know too! I love to save it for my green beans but I’ve also used it to fry eggs. So good. I’ve never used it before for a candle. I’ll have to try that!